For any business, accounting is important. It is quite another issue that most of us are overwhelmed by it, but we still need to deal with it. We’ve designed this guide to help simplify the process significantly so you know all that you need to. We begin with an overview of retail accounting. We then move on to some key terminology, followed by a step-by-step guide for setting up accounting for your retail business. Retailers usually process, or hope to process, multiple orders on any given day. The sheer volume of orders in a single accounting cycle can be daunting! 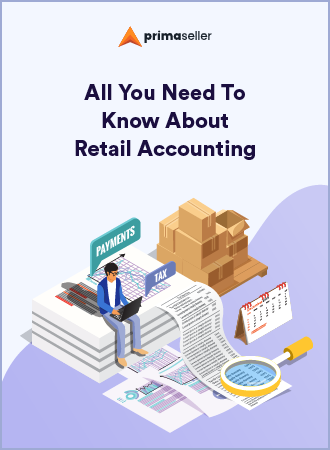 Hence, retail accounting involves a combination of sound financial knowledge coupled with inventory tracking to help build the complete picture of the health of your retail business. Let us get started with the basics of what your financial statements mean. Let’s start with a few basic terms and concepts in accounting that are worth knowing. You can then explore how each of these applies to your specific business. This is a financial statement that outlines your revenues, costs, and expenses during a specific period – often a fiscal quarter or year. Also known as the income statement, it is one of the three important financial statements you need to issue either quarterly or yearly. You can use the income statement to calculate metrics like your gross profit margin, operating profit margin and net profit margin. The balance sheet gives you the lowdown of what you own and owe in addition to the shareholders’ invested amount. It essentially lists your assets, liabilities and shareholders’ equity at a given point in time. A balance sheet works on the equation Assets = Liabilities + Shareholders’ Equity. This makes sense as you need to pay for everything you own (assets) by either borrowing cash (liabilities) or taking it from investors (shareholders’ equity). As compared to a Profit & Loss statement, a Balance Sheet gives you an overview of your financial operations. While the former concerns itself with how much you make and how much you spend, the latter tells you why you are earning and spending the way you are. Cash outflows for running your business smoothly during a specific period. So, your cash flow statement will list cash flows from operations, investing and financing. All three statements put together to give you a clear picture of your business’s financial position and performance. As you can imagine, accounting and taxation are tightly regulated by the Government and regulatory bodies in the country where your business is registered. This is important because investors would have a stake in your business’ performance, and the taxes you pay keep the economy going. The Generally Accepted Accounting Principles (GAAP) are the widely accepted accounting standards in the United States. These are principles and procedures that you must adhere to while preparing your financial statements if you own a business in the United States. They are meant to improve how clearly businesses communicate their financial information. They also make it easier for investors to identify and obtain useful information. You can read a bit more about GAAP principles here. A qualified accountant usually keeps track of the principles and how they might apply to your business. The Financial Reporting Council (FRC) currently sets the accounting standards for businesses in the United Kingdom. Like the United States, there are Generally Accepted Accounting Principles (GAAP) you need to follow as a business in the UK as well. These are provided by the FRC and include Financial Reporting Standards (FRSs), Statements of Standard Accounting Practice (SSAPs), Statements of Recommended Practice and Urgent Issues Task Force (UITF) Abstracts. You can read more about them here. For any business, the basics of accounting remain the same. You account for the cost of your service, Government taxes and losses over time to calculate how much profit you have made. Accounting is a number game, but you know that already! This brings us to the big question- just how do you calculate the cost of inventory and the subsequent payoff? We have three ways of doing this. Weighted Average: Choose this method when inventory items are so closely linked that it becomes hard to assign a specific cost to an individual unit. You assign the average production cost to a given product. Plus, you assume that all inventory in a store is sold simultaneously. To get the weighted average cost per unit, divide the cost of the goods available for sale by the number of units still on the shelf. The value obtained can be used to assign costs to end inventory as well as the cost of goods sold. First In, First Out (FIFO): This method works under the premise that an item in an inventory has been bought at different costs over a period of time. When one unit of this item is sold, its oldest cost is eliminated first and reported on the income statement under the cost of goods sold. FIFO is usually preferred when prices are rising. This way, you can record costs at lower prices and income, higher. Last In, First Out (LIFO): This method works under the assumption that the latest items purchased are the first ones to be sold. So, the costs of the newest products are reported under inventory. LIFO is the preferred accounting method when tax rates are on the higher side. That way, the costs assigned are higher and income is lower. Read more about inventory valuation methods. This method is the most straightforward of all. It works best for products which cost price does not change in the same accounting year. For example, for a given financial year, you buy that product at $3 per unit at all times. Thus, it does not matter which unit is being sold, because they are all alike in how much you paid for them. By far the most accurate method is Perpetual Tracking. In this method, every order is matched with its unit price in real time. Having a retail management system is absolutely imperative if you want to pull this off. Read more about the Perpetual Inventory System. Essentially, every time you make a sale online or in your store, the invoice is sent into an accounting software that immediately updates all book values. Primaseller is integrated with QuickBooks Online in order to make this process seamless, no matter where you sell. You can record lost or stolen inventory with a write-down in your income statement by reducing the amount you report as inventory. If the debited amount is fairly small, you can report it as part of the cost of goods sold. But if it is significant, report it separately on the income statement. Also, as the write-down amount lowers net income, it will also lower the amount you report as owner’s or stockholders’ equity. So, in the accounting equation and for the balance sheet, asset inventory, as well as owner’s or stockholders’ equity, are both reduced. Having a separate bank account is a prerequisite for running your retail business. Note that all companies registered as LLCs or Partnerships need a separate bank account by default. Even if you’re a sole proprietor, having a separate account can help keep your records accurate. Checking accounts usually have higher transaction fees and minimum balance requirements than do savings account. Compare the rates at different banks. You can also approach the bank where you have a savings account and see what conditions you can and cannot negotiate. You also need to think about the speed of transactions and whether the banks have a clean history. When it comes to business, the cleaner your books are every day, the less hassle you have to deal with later. It may seem cumbersome to record every water bill and every transport expense today, but you will thank yourself for doing just that at the end of the year. Remember that you need to have a record of every receipt and every expense in a legally acceptable format. Bring out that old shoebox and begin sorting receipts by category. Know which expenses you can account for and which ones you cannot claim. The IRS exempts store owners with revenues under $75,000 from receipt tracking, but it is better to get into the habit early. Bookkeeping is not the same as accounting. Instead, it is the process of recording your daily transactions and reconciling the bank statements. Bookkeeping is a way to maintain hygiene in your records. Over this, you add the layer of accounting which basically helps you make sense of the records you are keeping. 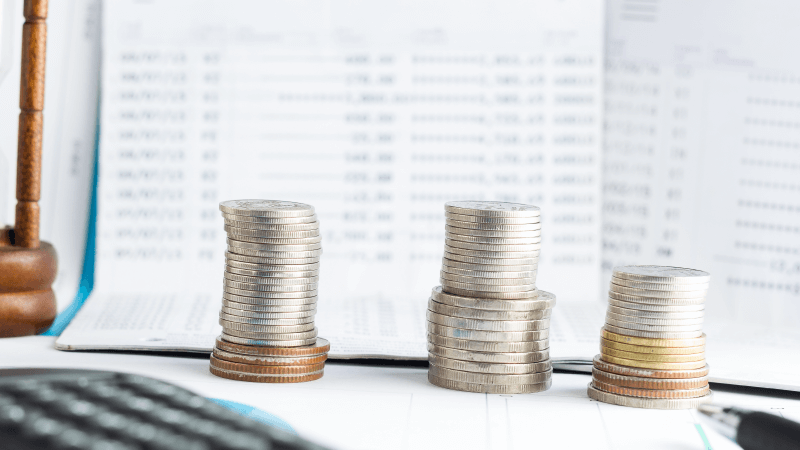 For example, the Profit and Loss Statement, Cash Flow Statement and Balance Sheet help you measure the health of your business from several different perspectives. Whether you hire freelancers or full-time employees, your retail business won’t be a one-person show for very long. If you hire employees, you need to figure out their payment schedule and how much of their monthly salary you need to deduct for tax purposes. Likewise, you also need a way to calculate their allowances, overtime pay and any other deductions that you need to make for them. If you hire freelancers for a task, you still need to maintain a record of their complete business name and address. The same goes for vendors and contractors. All of these details will be useful when you file your business’s annual returns. Ensure that you comply with local laws by filling out the correct forms periodically. As a global retailer today, it is very likely that you import some of your products from other countries. Usually, some countries are manufacturing hubs. You are likely going to get a good deal if you buy from vendors in these places. However, you will still be responsible for paying import duties, customs fees and taxes on the goods you import. These taxes can be different when you buy products for your personal use vs. when you buy them for commercial gain. The United States Customs and Border Protection (CBP) is the authority you need to deal with to declare all the items you import and pay fees on them accordingly. Legal responsibility to declare and pay fees now falls on the importer, which is you. Contact your local CBP office for more information. Be extra wary if any of the products you import are protected, illegal or not for sale under the local law. Before you go ahead and sign a contract with a vendor, you can calculate import duties using this handy tool. Today, you need to offer as many payment options as possible to your customers. Remember, checkout is an impulsive decision. You get one chance to get them through, and you don’t want to waste it with cumbersome payments. Most customers prefer the universal convenience of using their cards or the simple option of paying with a digital wallet. That said, many new payment options are also on the cards. Customers buying in-store would want to have the option of NFC payments. Take a look at what payment options you can provide, here. If you’re selling exclusively on a marketplace, you can avoid this hassle initially. However, at some point, you will be responsible for setting up your own payment systems. Banks often provide secure payment gateways. You usually need to provide your business’s registration details and fill out a requisition form to obtain either a card reader or a digital payment gateway for your website. Depending on whether you register your business as a sole-proprietorship, a partnership or an LLC, your way of reporting your income and the subsequent taxation on it will vary. If you expect to owe more than a certain amount in taxes every year (find more information here), you need to pay estimated taxes every quarter. In a typical brick-and-mortar setup, sales tax calculation is easy. You simply calculate taxes based on the location where the sale is happening. However, add online sales to the mix and it can get confusing. Do you charge taxes based on the state where your business is registered? Or, do you charge based on the state where the consumer lives? In early 2018, the US introduced legislation that requires online retailers to charge and collect sales tax based on the state of their physical operations. This also means that you need to register with your local sales tax regulator. You can read more about the state-wise regulations here. If you do have sales tax nexus in a state, you need to register for a sales tax permit there. Also, as a multichannel retailer, hiring employees in other states or keeping items in a warehouse on the opposite coast for faster shipping is likely to be considered nexus for your business. 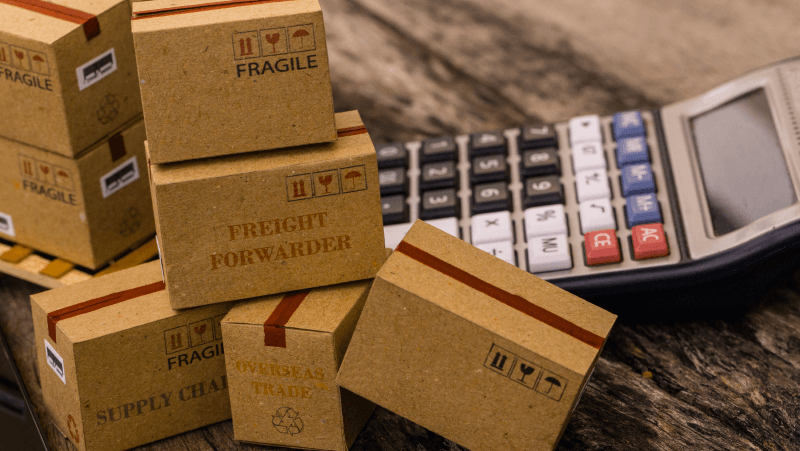 In addition, collaborating with third-party fulfillment services creates nexus in several states – the ones where your inventory is being stored. In such cases too, you need to register for a sales tax permit in all nexus states. You may provide discounts on sales to attract customers. However, you need to account for them differently based on whether they are trade discounts or cash discounts. Trade discounts are those discounts you provide at the time of purchase – like when a customer buys goods in bulk or to keep your loyal customers coming back. You can ignore these for accounting purposes and eliminate them from your accounting records. You should record your sales as the net of any trade discounts you offer. Cash discounts are those discounts you provide to buyers as an incentive for timely payments toward credit purchases. They reduce your sales revenue earned during the period. But since all customers are not eligible for them, you first need to record the gross amount of the initial sale after trade discount deductions. Then, reduce the sale revenue by the amount of discount you actually allow. So, you record a cash discount by debiting the Discount Allowed account and crediting the Receivables account in your income statement. In the past, bookkeeping used to be a laborious process even when retailers would sell on just one channel. Transactions, expenses, taxes, and financial reports had to be processed manually, making the process long and drawn out and leaving considerable scope for manual errors. 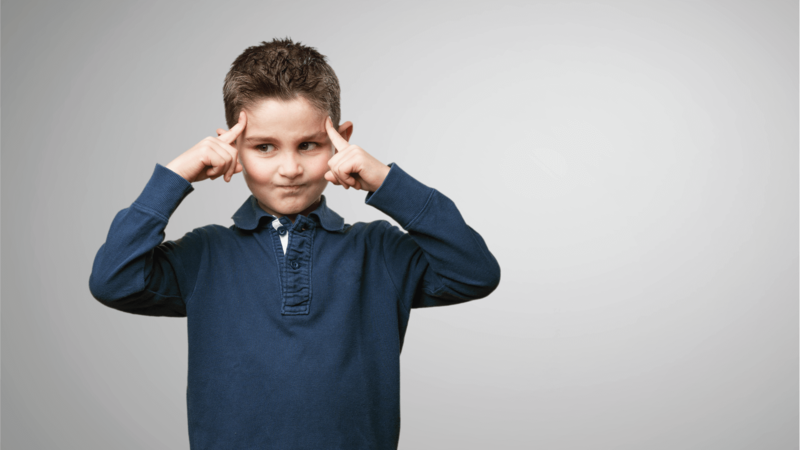 While selling in large volumes and across multiple channels, you’re bound to have more errors creeping in. But today, thanks to the advent of integrations and products for every purpose, you can automate the updating of all your invoices, inventory, and purchase orders across channels. Use an inventory management system that is integrated with accounting software. Doing this automates all accounting tasks for you and ensures that your financial data is synced in real time. This makes it easy to track financials across all channels. Additionally, you also save time and resources that would otherwise be spent on processing and reporting transactions and reduce the scope of manual errors significantly. Automated accounting also allows you to focus more on your sales and marketing efforts for business growth. Primaseller is integrated with QuickBooks Online. Orders from marketplaces, offline stores, and online ones can all be processed by QuickBooks Online through Primaseller. This saves you considerable time in integrating your inventory with accounting. Accounting can seem like a hassle. But, it is the only good way to measure how your business performs over time. With the right professional counsel, some knowledge of accounting best practices and a good system in place, you can make the process simple for your business.